THIS IS THE DRIVE UNIT ONLY. AN AUGER BIT IS REQUIRED. Auger Drives feature a wide variety of auger diameters, lengths and style for every digging application. . All 75 Series hydraulic motor drives the auger through a sealed planetary gear reduction. The heavy duty all gear design gives these units a long life with minimal maintenance and service costs. 75 Series drive units are completely sealed with all moving components running in oil for total lubrication on a constant basis. All models feature reverse rotation for quick bakout when obstructions are encountered. The systems' hydraulic relief valve protects the units from damage when the auger kits large immovable objects. 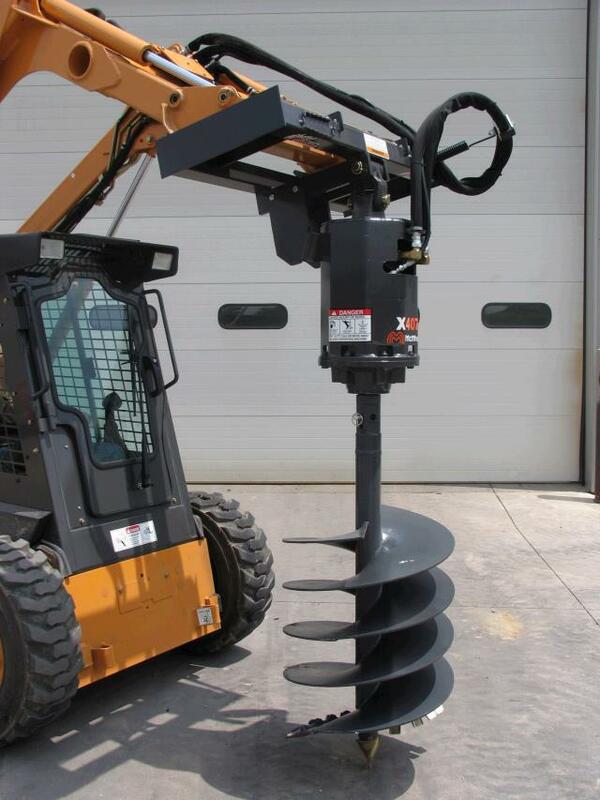 * Please call us with any questions about our auger drive large skid steer rentals in Lake Charles and Moss Bluff LA.